The children were very enthusiastic about engaging in water play this week. The educators continued to follow the children’s interest in washing the dolls. And they provided a variety of resources for the children to choose from to participate in this fun water play experience. 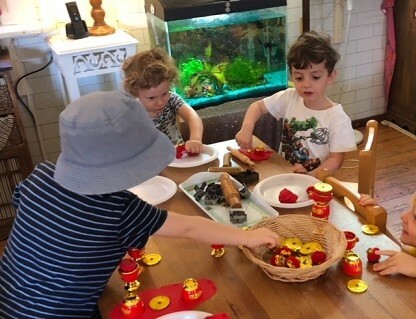 The children were very interested in using the small cloths and water bottles to make sure their babies were very clean. Evana, Fiona, Iris and Claire chose to feed some water to the dolls they were caring for. 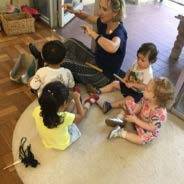 As the children engaged in water play they were continuing to build on their sensory development as they felt the water and splashed it round. 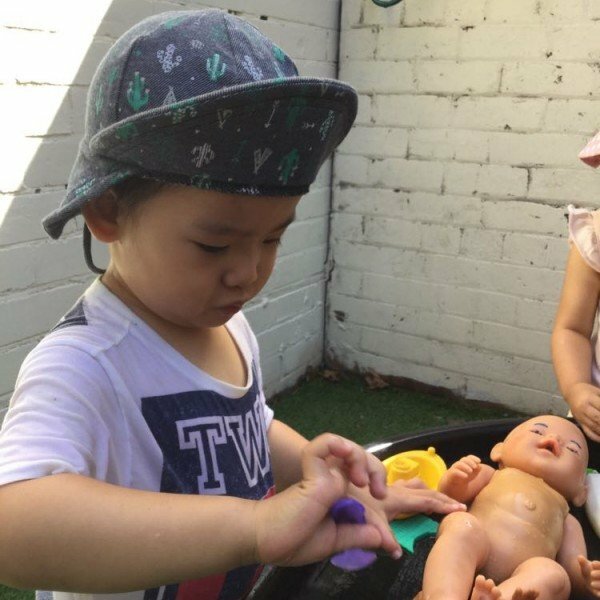 The children are also continuing to facilitate their dramatic play skills as they role played with the dolls, and as they were interacting with one another, the children were also promoting their language skills, using language associated with the play such as “splash”, “swoosh” and “sponge”. The children were also sharing their ideas and thoughts with their peers. What’s next? The educators will plan to continue to offer the children opportunities to engage in water play. The warmer weather this week has provided the children in Johnson House preschool the opportunity to play with water. The play water way canal set up promoted lots of interest and helped children develop skills in turn taking and collaboration. This experience also provided a foundation for lots of problem solving, investigation and communication as there were a series of gates, pumps and turnstyles to be managed, which meant that the water running around the canal could be stopped and/or emptied at a number of points. Sensory-based play like this leads to children asking questions and helps foster an interest in science. Questions such as “What does it do?” and “How can I change it?” are asked, and answers are then hypothesised. 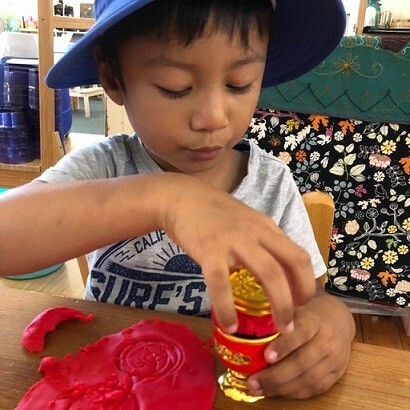 This leads to experimentation, which provokes even more curiosity and more questions that will challenge and intrigue children. 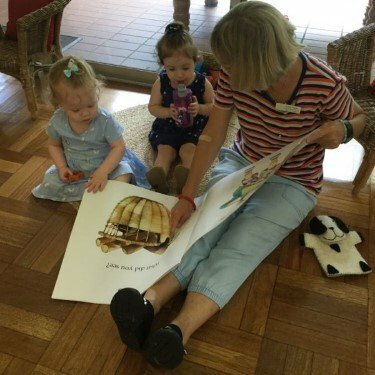 The children at Kim’s Family Day Care Sydney Wide service were curious about the intriguing fabric design on one of the children’s shorts this week – Venus Flytraps! Together the children explored carnivorous plants with the aid of the internet and YouTube, and they were fascinated by what they learned from their investigations. They were excited to find that plants can eat flies and spiders and the children set about recording their discovery in art form. 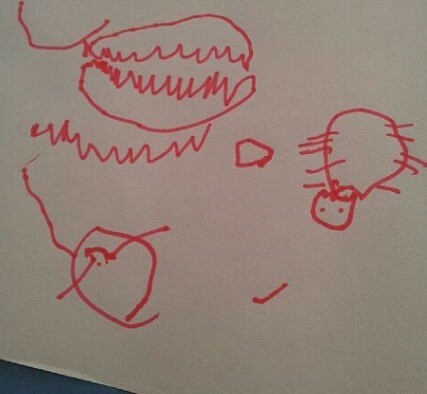 The pictured drawing shows a fly and a spider about to be devoured by the waiting Venus Flytrap. The group talked about ensuring that they didn’t put their hands in the plant’s mouth!! 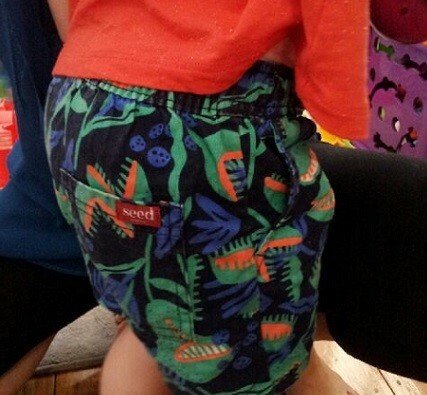 Who would have thought what curiosity, enthusiasm and learning would be evoked from a pair of shorts!